Say it loud, say it proud! You can now share audio-only broadcasts on Twitter for iOS and Twitter’s Periscope, Tech Crunch recently reported. In the same place where you create a live video, you can create an audio broadcast, providing another option for sharing unique content. According to Tech Crunch, the audio-only option appears as another button you can tap when you navigate to Live. As you would with live video, you can see metrics such as live viewers, replay viewers, and time watched when making an audio-only broadcast. Although the new feature is only available on iOS and Periscope at this time, it’s sure to roll out to other platforms sometime in the future. If you’re like me, and you hate seeing yourself in a video, this audio-only feature is a godsend. Being able to get my message across without feeling squeamish about my appearance is going to be a massive weight off my shoulders in instances where I believe a live broadcast is the more effective option over a regular tweet. Twitter may see a spike in the number of live broadcasts users make with this new feature available because users who don’t typically broadcast because they’re camera shy may feel more comfortable with the sound of their voice. 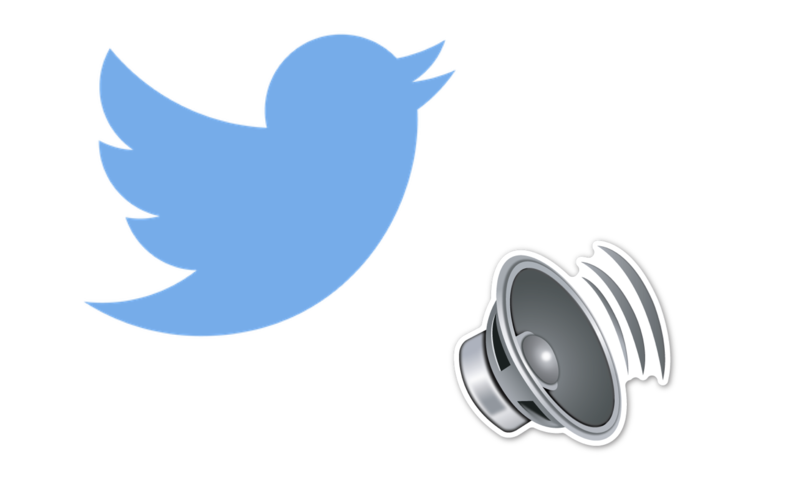 Twitter’s audio-only broadcast feature may also appeal to the growing podcast audience. People today are flocking to podcasts for interesting and engaging content. Twitter may become a go-to place for podcasts if this audio-only feature takes off. Let’s not overlook the benefits of being able to share a message in more than 280 characters as well. If you don’t want to spend 10 minutes trying to edit your tweet down to the maximum limit, it’ll be easy to say what you want to say in an audio clip instead. It’s no surprise that Twitter now has an audio-only broadcast option. Facebook already offers a live audio option, so the concept isn’t revolutionary. 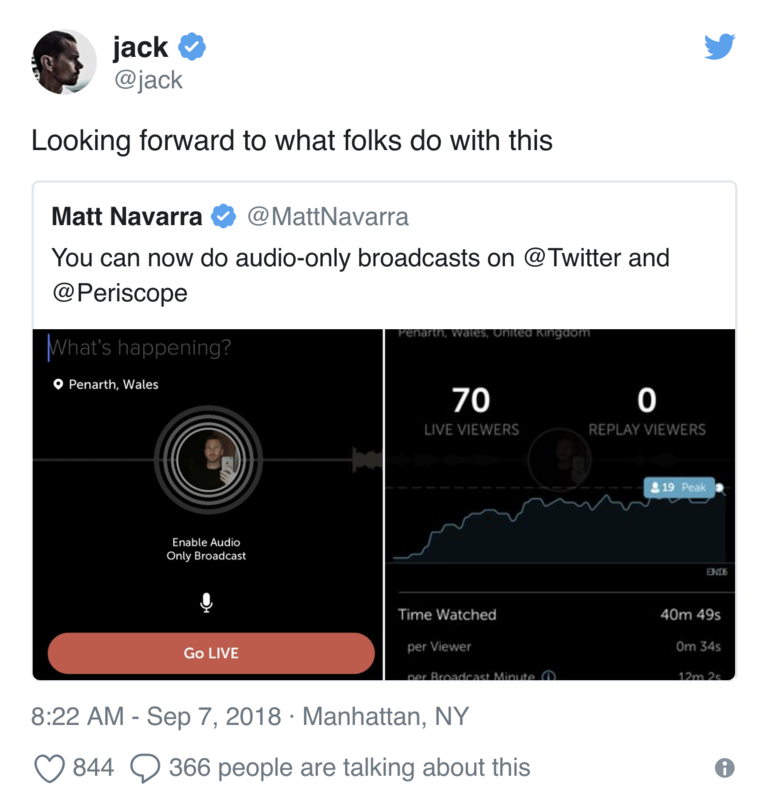 However, Twitter’s live audio may be more popular than Facebook’s since Twitter is more of a news-snippet hub, and audio will contribute to that niche. 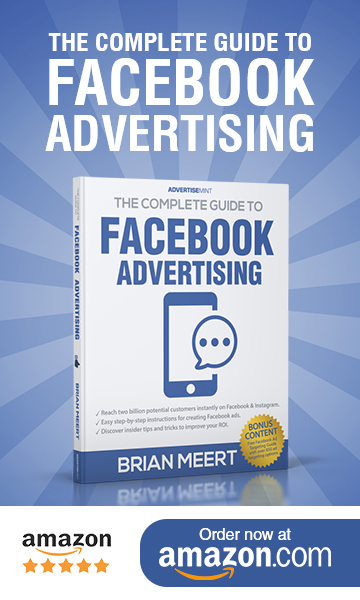 Anna Hubbel is a writer at AdvertiseMint, Facebook ad agency.